If like me, having your good pressure makes you feel like you are going to pass out and you want to check it yourself on a regular basis, then this system is perfect for you. 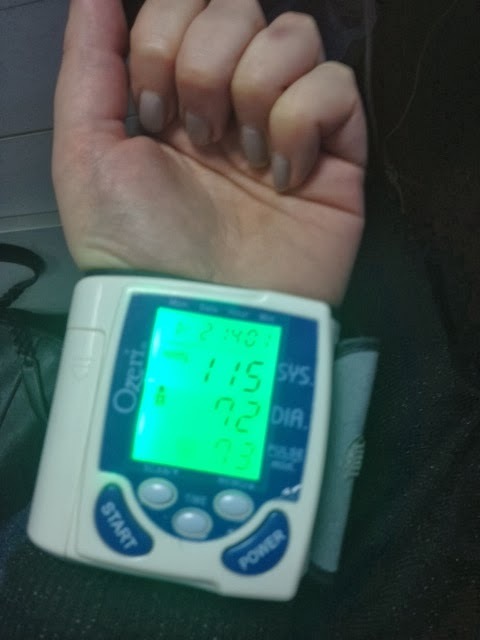 I have taken this to work and use it every week just to check that my blood pressure is normal as it was very high due to stress and I wasn't getting enough exercise. This has helped me keep on track and it is reassuring to see the levels drop. Now it always flashes green for me and I am in the normal chart area for blood pressure. 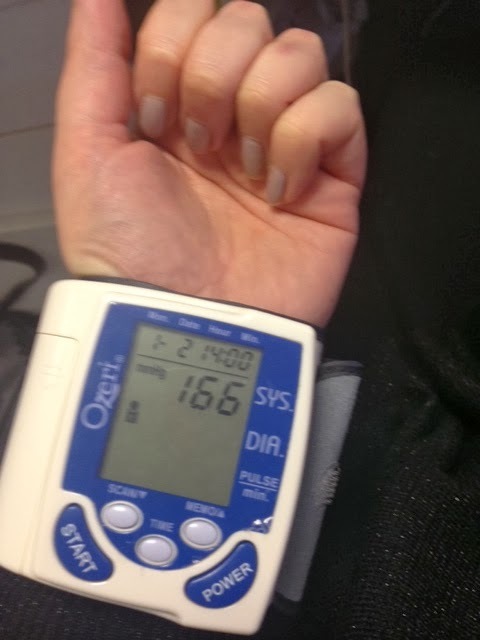 The screen results will flash red (Hypertension) if you are in an alert zone or amber (Prehypertension) if you are in-between and either if you have high blood pressure. The Ozeri, mobile and lightweight comfortably fits around your wrist. 1. Pop the two AAA batteries you get in the box into the digital machine. 3. The machine will start making an electronic noise and start putting slight pressure around your wrist, the same as when you get your arm monitored at the doctor on your upper arm. 4. This might be a bit uncomfortable but it isn't painful. It uses MWI (Measure while inflate) technology. 5. 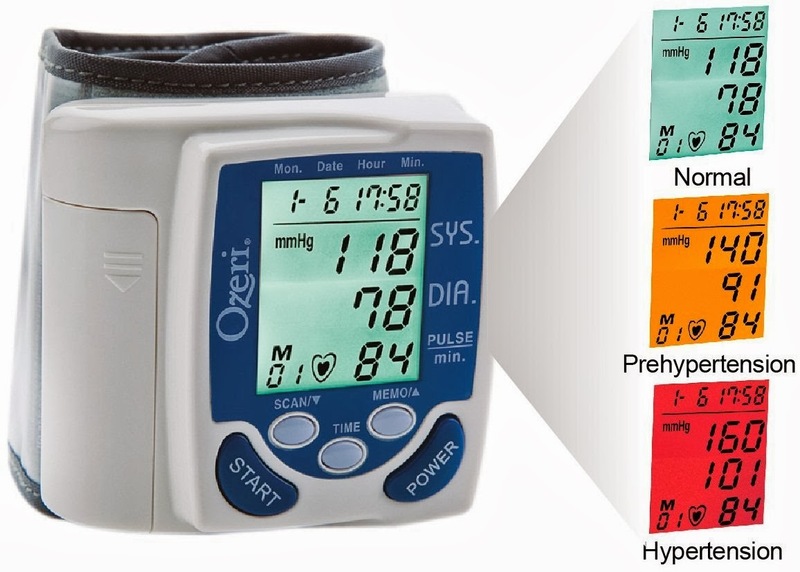 Then you wait for the monitor to work out your average blood pressure readings, (with date and time) average pulse and detects irregular heart monitors (Arrhythmia) detection. It can store 80 blood pressure readings.